Working with minimal gear and preparation for absolute beginners to experienced video shooters. With practical demonstrations using a smartphone. Led by Matthew Adams, winner of ‘Best Documentary’ and ‘Best in Fest in the 2018 Mud and SAltwater Short Film Fest. 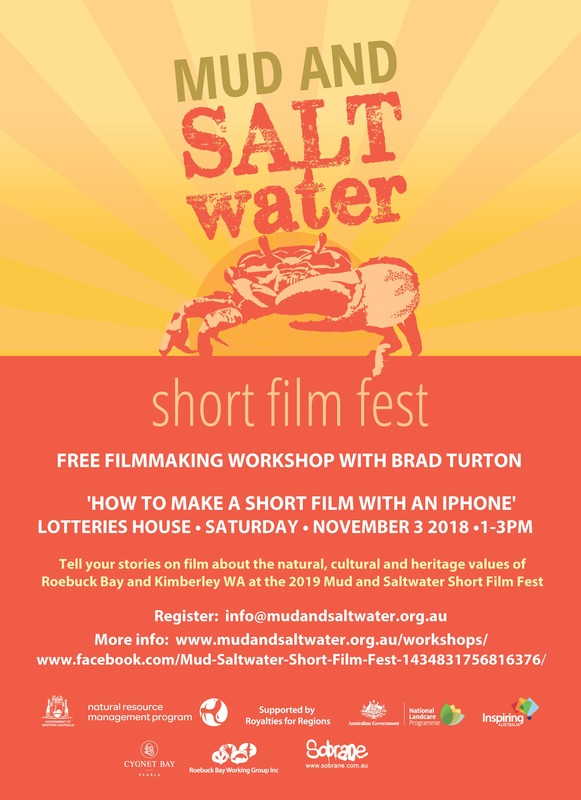 Well here’s an opportunity… Brad Turton will lead a FREE iPhone filmmaking workshop Saturday 1-3pm (Nov 3, 2018) at Lotteries House. Georgie Barnes will help too. 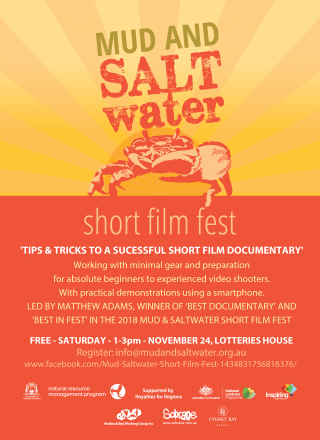 For your interest, four films entered in the 2018 Mud and Saltwater Short Film Fest were shot on iPhones. Remember to bring your iPhone and or iPad to the workshop. Exciting news to hand… The Mud and Saltwater Short Film Fest will be screened at the Mary Island Fishing Club in Derby on Friday October 26, 2018. Love Derby, the people, the marsh, Aboriginal art, boabs, Gibb River Road, mudskippers, wharf, crocodiles, the drive to Derby. Thanks Sarah Hennessey and Derby West Kimberley Shire for grants to screen the films in 2017 and again in 2018 at the Mary Island Fishing Club. 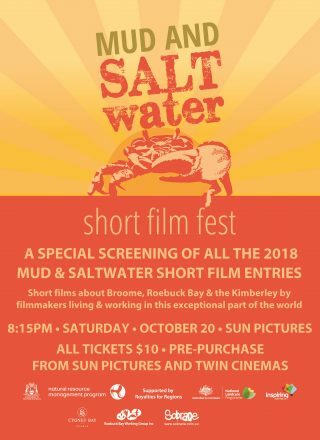 Three filmmakers who entered short films in the 2018 Mud and Saltwater Short Film Fest are strutting their stuff on the red carpet, with their films shortlisted for international awards. Filmmakers Georgie Barne’s and Brad Turton’s wonderful short film ‘One Whistle’ stars canine Sasha and Brad Turton. 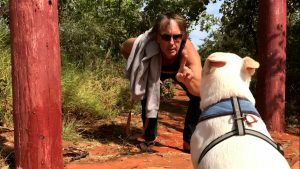 Russell Robert’s film has an assortment of talented musicians in Broome all hankering for a feed of salmon washed down with a beer. 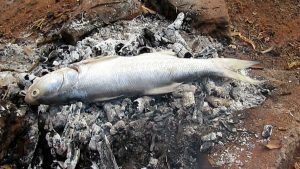 Russell Robert’s quirky short film is about salmon fishing Broome style. 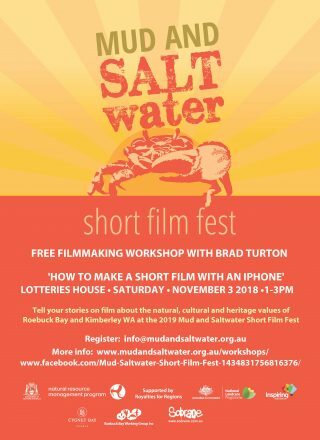 Georgie Barnes, a first time filmmaker made her first film with Brad Turton using an iPhone, and the judges around the world have applauded their efforts. 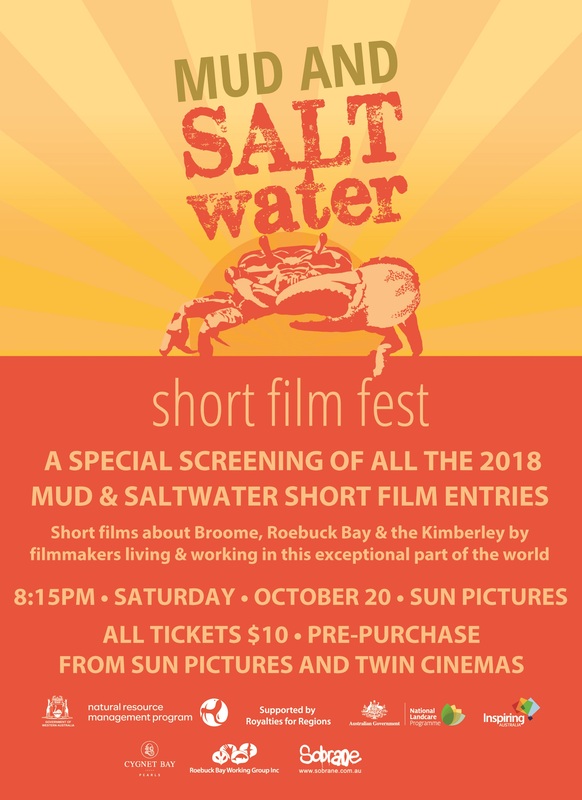 Congratulations Georgie Barnes, Brad Turton, Sasha the beloved dog, Russell Roberts and your talented cast.Broome filmmakers rocking their socks!